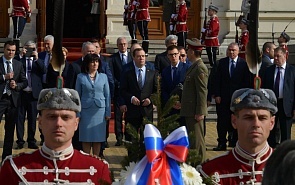 On March 4-5, 2019, Russia’s Prime Minister Dmitry Medvedev paid an official visit to Bulgaria. The purpose of the trip was the normalisation of bilateral relations in connection with the European Union’s sanctions policy against Russia, the deepening of trade and economic cooperation between Russia and Bulgaria, the discussion of topical issues of Russian-Bulgarian investment, scientific, technical and cultural/humanitarian cooperation, as well as the implementation of joint projects in the energy, industry and tourism sectors. During the talks, the Russian prime minister and his Bulgarian counterpart Boyko Borisov discussed the prospects for Russian-Bulgarian rapprochement on the most pressing issues affecting bilateral cooperation, mainly regarding a possible resumption of “frozen” energy projects. Russia, in fact, was forced to abandon the South Stream gas pipeline project due to the non-constructive position of the European Union. The project envisaged the creation of an energy hub which would be located in Bulgaria, and in the future could help turn the country into one of the key transit hubs for Russian gas to European countries. That did not happen. After that, the TurkStream project was launched, which has opened up huge opportunities for Turkey to sell Russian gas to Europe. Speaking about the South Stream issue and the prospects for laying a second line of the TurkStream, the Bulgarian prime minister apologised for the failure of the project and proposed resuming it. Dmitry Medvedev, for his part, said that Russia is ready to participate in joint projects even further, but would not like a repetition of the situation with the South Stream. According to him, the decision to extend the TurkStream through the Bulgarian territory depends on whether Sofia can get firm guarantees that the EU would not obstruct plans to supply the gas via the new gas pipeline. Boyko Borisov, in turn, stressed that Bulgaria is only striving to ensure that its gas transportation network is maintained after the TurkStream enters operation. As soon as this happens (scheduled for late 2019), Bulgaria risks losing its current gas transit to Turkey. Therefore, it is under pressure to pursue possibilities to transport gas from different sources through the introduction of a new Balkan gas hub. According to the prime minister, this issue has already been agreed upon with the European Commission. He also noted that Bulgaria is able to ensure the transportation and sale of gas, and does not intend to abandon the development of a modern gas transportation network. At the same time, the Russian delegation made it clear that it does not intend to participate in the construction of the Balkan project. Another important point that was discussed was the issue of cooperation in the field of nuclear energy. Today, Russia is engaged in servicing the fifth and sixth power units of Bulgaria’s Kozloduy NPP, which was built before the break-up of the Soviet Union. With Russian assistance, the safe operation of these units has been extended for decades to come. Also among the important “frozen” projects is the construction of the Belene NPP. The project was suspended in 2009, and in 2012 it was completely immobilised, also at Bulgaria’s behest. Russia had already delivered the necessary equipment, and Bulgaria even managed to buy it. The transaction value was 650 million euros. Bilateral trade was also discussed, against the backdrop of sanctions pressure from the European Union. According to Medvedev, both sides had suffered from the sanctions regime, and the economic losses are obvious. Nevertheless, over the past two years, trade between the two countries increased, albeit slightly, to $3.5 billion per year. The Russian prime minister reacted positively to the resumption of the intergovernmental commission on trade, economic and scientific and technical cooperation, which oversees the development of joint projects. The main news from the visit of the Russian prime minister Dmitry Medvedev in Sofia at the beginning of the week is that the visit really happened. After 7 years break in such high level visits it seems that the recent one is normalizing the relations between the two Slavic states.